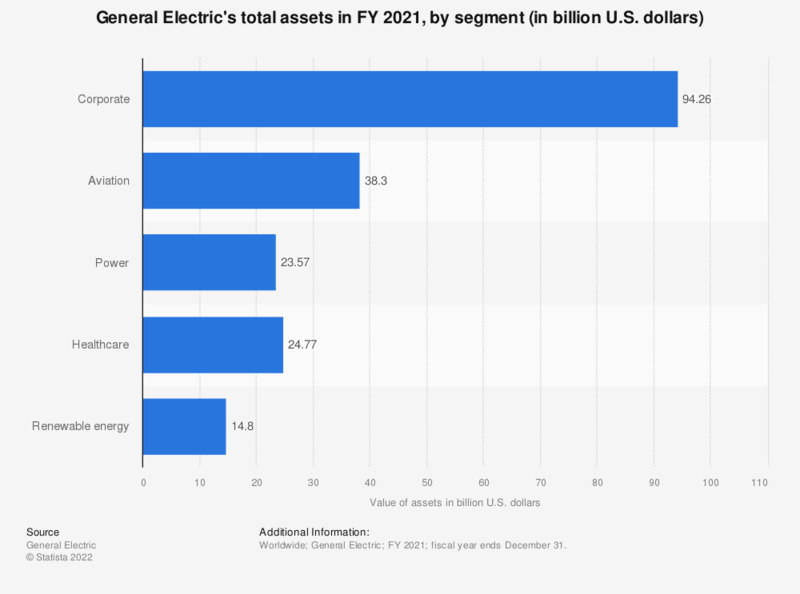 This statistic represents General Electric's total assets in the fiscal year of 2018, with a breakdown by segment. In its healthcare segment, the company had assets to the value of more than 28 billion U.S. dollars. Everything On "General Electric" in One Document: Edited and Divided into Handy Chapters. Including Detailed References.